Home » Apple » Android Gaining Points Over Apple? Android Gaining Points Over Apple? Apple is working double time. News about Apple is very unstable this week. If you haven’t been reading to our other posts, some posts have been positive, while some just negative. There are news about new releases. These releases have high consumers’ welcomes with record-breaking pre-orders online. There are news about Apple‘s battles with other companies here and there, mostly Samsung. There are good news and there are bad news. Speaking of bad, it seems that the Samsung posts are not yet enough because here is another post regarding Apple’s score against another company – Android. Is Android really gaining points over Apple? What is the real deal? Just read on to find out more. The analyst ComScore has just released the most recent scores regarding the smartphone industry for the past three months. ComScore is a reliable research firm, hence the scores are unbiased and credible. According to them, Android has increased 5.6% compared to their past score which puts them on the first spot. 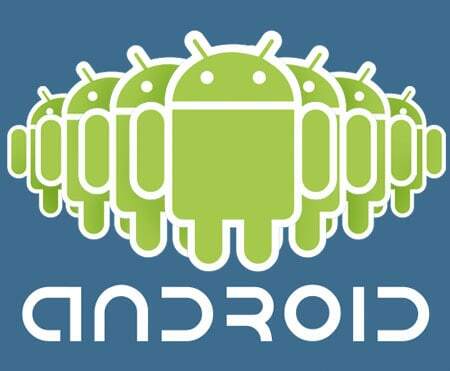 Android got 43.7 % of the smartphone OS market in US. It gained more than a half more of the points that Apple got at 27.3 %. See? Apple has a lot of work to do, not to mention that it is closely followed by Blackberry at 19.7 %. Blackberry poses an even higher threat as there is a possibility that Blackberry could overthrow them at second place if they’re not careful. Oh no. This is definitely not good news for Apple. So what does Apple need to do now to regain their control over the smartphone Os market in the US? Well, that’s what Apple is doing right now. They are releasing new and better products so that the users that were once loyal to them but switched would become loyal to them again, as well as attract more users to start using Apple. So far, we’re seeing the best of Apple with its newest iPhone 4s and its newest iOS 5. The iPhone 4S offers features that are totally unique and have never been offered by other smartphones before. First, there’s Siri, your digital assistant. Dreaming of having control and getting your own personal secretary? Now you have Siri. Siri is your intelligent iPhone 4S secretary. Want to do something with your iPhone, like send a message to someone? You don’t have to text it yourself anymore. Just tell Siri and Siri will text for you. Meanwhile, the iOS 5 has the iCloud to offer. The iCloud offers the capability of making your iOS device standalone, which means it could function and do upgrades without the need to connect it to your computer anymore (as in physically connect it to your computer using data cables). There’s no need for that anymore with iCloud! You’ve got to hand it to the creative minds of Apple. Nobody knows what Apple is going to do next. Apple has improved a lot over the years, while setting the standard for all the other companies to follow. Personally, as an Apple fan, I’m surprised by the result, but not too surprised. Maybe one of the factors why Apple is experiencing such survey results is that they quality and innovation that they are offering are also coming with a price, while the Android on the other hand, offer cheaper alternatives that are just as good. This is just an assumption though. What do you think?